Instagram in just a few years has exploded to over 300 million active users making it one of the biggest social media platforms in the world. Instagram while not on par with Facebook or Twitter in terms of its followers continues to have the most active engagement to date. Instagram generates five times the activity compared to Facebook, although it has 1/10th of the following. The engagement on Instagram is astounding; let’s look at how the platform is structured, and how you can tap into this very active audience. If you take a look at Instagram, there is one thing they do right. They focus on the photo and leave the clutter out of it. Unlike Twitter or Facebook for example, accompanying a photo there is endless information, memes, hashtags. Sometimes people just want to skip through all of this and get to the real thing. People’s brains are tired and cannot process so much information all at once. Instagram marketing is elegant, simple and straightforward. There is no clutter in the form of extensive data, advertisements and it comes with minimal buttons. Also, it has the policy, one photo at a time. This gives marketers a great opportunity to get prospects focus on the photo appearing on their screen, grab the attention of their followers and communicate the message. 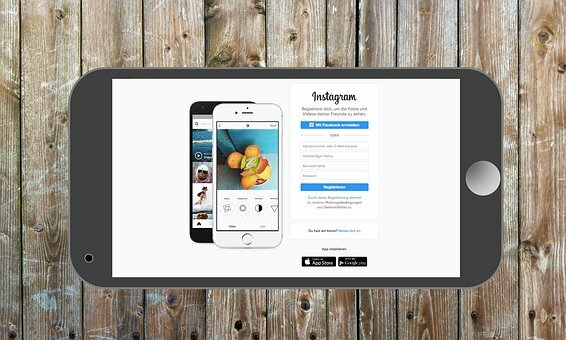 Instagram is a powerful platform for marketers and businesses to promote their brand; however, there seems to be a slight hesitancy on the part of businesses because they may not have a physical product to display. As much as a physical product would be great it is not the only way to connect to users. There are plenty of other ways. Once you have started on Instagram advertising and completed the basics, it is time to grow your following. Create a plan that focuses on high quality content, metrics and the ability to maximize user engagement. This is what grows your account, not necessarily a physical product to showoff. Connect with a niche. You need to find your target audience. Who would be interested in your product or service? Do some digging, find some good hashtags to connect to followers and begin posting. Another cool feature of Instagram is you get to embed your website or blog. You can get great exposure for your brand by linking your blog to the Instagram account.